← Southern My Way – Winner! I tend to shy away from baking articles. Especially when it comes to pie crust, if you remember back to the Tomato Tart Post I have something of an issue with crust, and in this case I’m not one to hand out advice for pie crust. I’d say go with what works when it comes to pie crust, most folks have a recipe that they are familiar with or will reach for the freezer section. What I really worked on was getting the soul of the Pecan Pie right and that means figuring out the right balance of brown sugar, corn syrup, butter, bourbon and in this case molasses. This recipe took a little work to sort out and I offer some sweet bourbon advice. If you are a bourbon lover then stick to the recipe and you’ll be greatly rewarded with just the right amount of balanced flavor of Bourbon, molasses and brown sugar. If you don’t particularly care for bourbon then just leave it out of the recipe, it will cook the same way, just add a little ice cream to make up for it. Stay Hungry Y’all! Preheat oven to 350 degrees. In a saucepan combin molasses brown sugar, corn syrup, butter, peanut butter, and salt over medium heat until sugar is butter is dissolved. Then turn heat to high and boil mixture for about one minute, then remove pan from mixture. Allow mixture to cool to room temperature, so eggs won’t cook when added. Once mixture is cooled, whisk in eggs, vanilla and bourbon then stir in the pecans. Pour into a prepared pie crust and bake until nearly set in the middle and crust is golden brown. Allow to cool before serving. Enjoy! I’m always looking for pecan recipes–will have to try this one, thanks. What I’ve discovered is it depends on how late in the cooking process you are adding the bourbon. If you are cooking the bourbon down then the real early or baking with it and mixing the bourbon with lots of very intense ingredients you may not want to use a $100.00 bottle of bourbon, but I wouldn’t use one that you wouldn’t drink either because it still is going to just taste bad no matter what. If you are adding the bourbon really late, then less of the alcohol is going to cook off and the natural bourbon flavor is going to be present, I’d stick with the best bourbon you have. That is the general rule I use when cooking and baking with bourbon. Good question! What about adding a handful of chocolate chips to this pie? Mmmmm…. 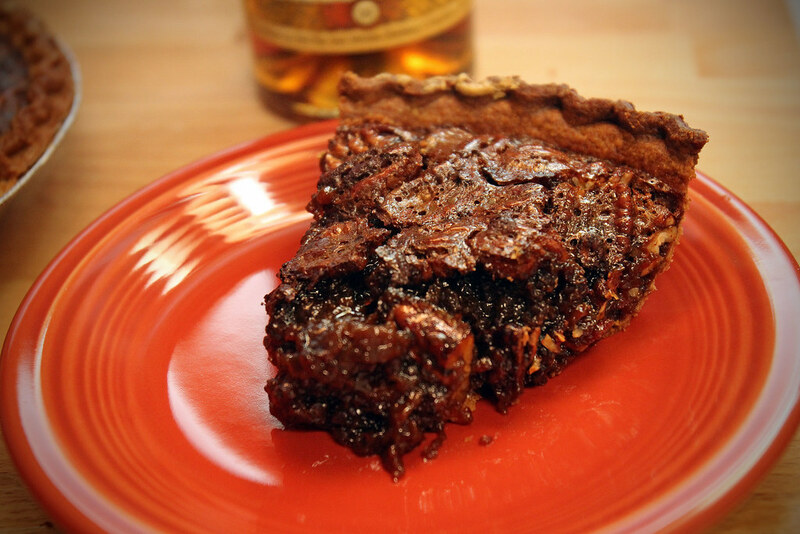 love love bourbon pie. Don’t make it much since my hubs doesn’t do liquor but its shorely is southern doll! You’re looks marvelous. 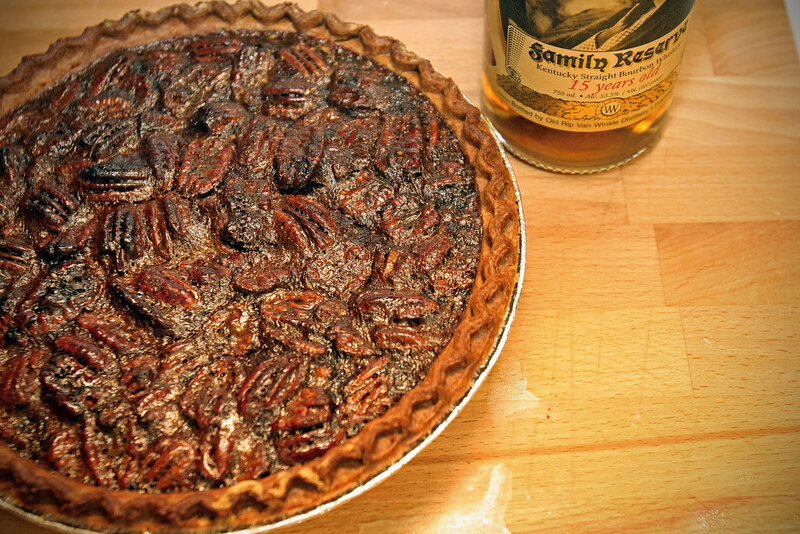 I have NEVER had pecan pie with bourbon in it! I bet it tastes like the ultimate comfort food! I will so try this recipe soon:) Thanks for sharing!